Product prices and availability are accurate as of 2019-03-19 00:36:28 EDT and are subject to change. Any price and availability information displayed on http://www.amazon.com/ at the time of purchase will apply to the purchase of this product. ?In order to cut a perfect kerf, please keep kerf distance pipe mouth at least 1.5inch. ?When cut pipe, please take eye protection measures. ?Never use on or near live electrical circuits. ?Do not use to cut metallic pipes or cable wire. ?At Fabcell, we stand by our products 100%. ?If you have any problems with our product, please contact with us free and we will reply within 24 hours. 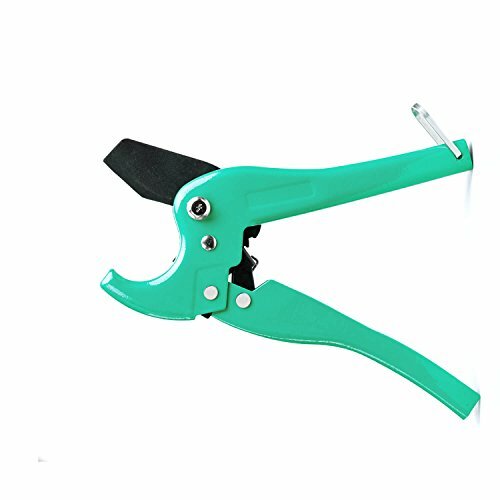 ?High Quality and Safety: The durable tube cutter is made of manganese steel that is high hardness, good toughness, strength and durable. Heat-treated blade is sharp and never rust, ratchet drive design makes sure auto-locking function in the process of cutting, which protects users away from hurt because blade bounces back. 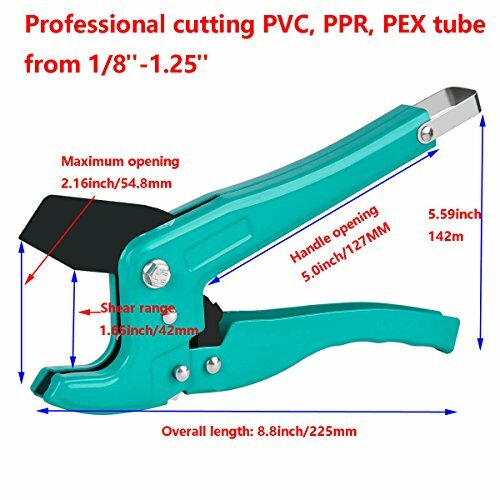 ?Wide Application: The tube cutter is commonly used for cutting most kinds of plastic (PVC, CPVC, PP, PEX, PE, rubber hose) and multilayer tubing. 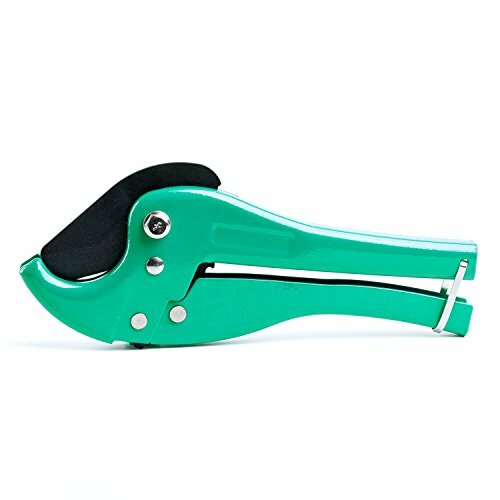 It is an essential cutting tool for your home handy man, plumbers, electricians, and vehicle mechanics. Cutting capacity is from 1/8 inch to 1.25 inch OD. 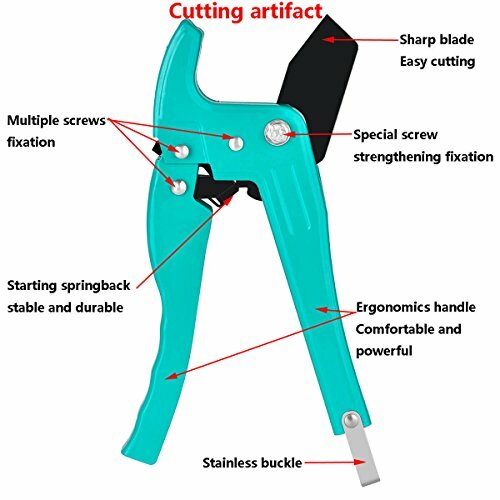 ?Ergonomics Design: The professional tube cutter adopts ratchet drive technology to greatly save your strength. Powerful and do not require much strength to cut pipe. 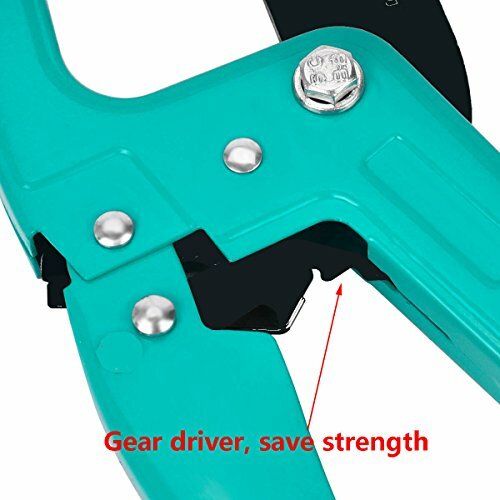 Fish handle is for added comfort, which guarantee on long-lasting working. 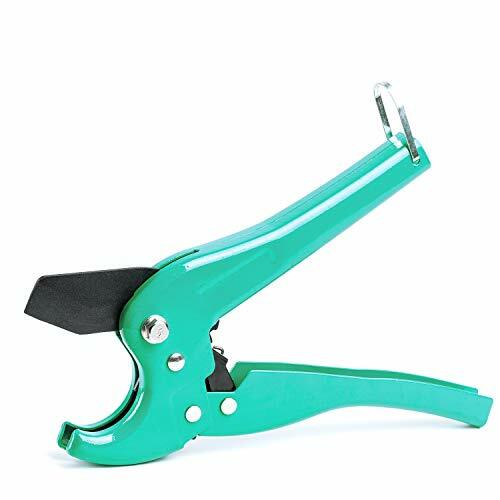 The tube cutter can improve work efficiency by fast cutting. User can cut pipe within 5 to 20 seconds, which greatly save times. ?Convenient Storage: Stainless buckle make sure the safe lock, the tube cutter will become small to save your space. And it will also become portable, which is convenient for your work and life. ?Warranty: We provide life-time warranty, contact us at any time if you have questions, we'll answer you within 24 hours.